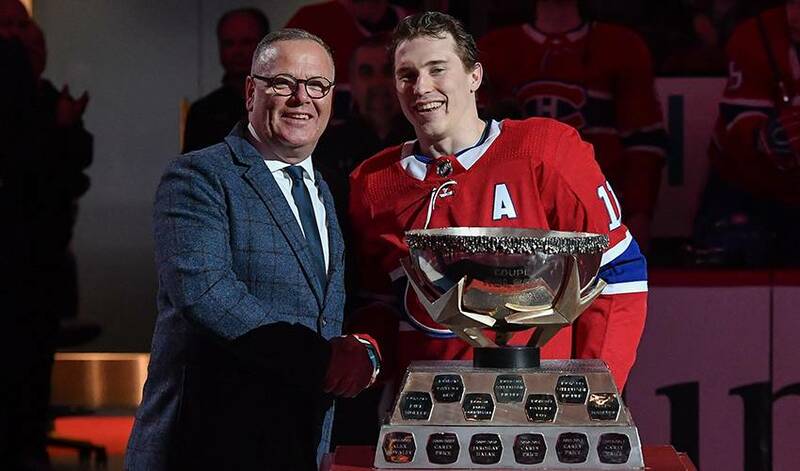 While his golf skills might not be up to par in his own estimation, the 26-year-old right wing, who was selected as the Montreal Canadiens' nominee for the 2018 King Clancy Memorial Trophy (an award given to the player who best exemplifies leadership qualities on and off the ice and has made a noteworthy humanitarian contribution in his community), is definitely at the top of his game when it comes to helping others. And help is exactly what the veteran of 406 NHL regular season games does regularly throughout the year. Among his many charitable and community endeavours, Gallagher worked closely with Shriners Hospitals for Children - Canada during the 2017-18 NHL season, including his efforts with the inaugural SKATE FOR KIDS event in Montreal, which raised funds to support kids and families who depend on the hospital’s services. In 2015 and 2016, he hosted the Celebrity Softball Classic in Vancouver, which also aided the Shriners Hospital for Children - Canada. Gallagher’s other contributions included time spent at the Canadian Cancer Society's Jacques-Cantin Lodge last year and joining the Movember campaign to raise funds and awareness for men’s health issues. He donated $4,000 of his own money to the cause this past November. The Edmonton-born forward is also a frequent visitor to Montreal hospitals. The only uncomfortable feeling comes when children and their families thank Gallagher for spending time with them.